We have been counted amongst the most trusted names in this domain, engaged in providing Sea Salt Powder (Salt Powder). We are one of the renowned Exporters and Suppliers of Sea Salt. The Sea Salt that we offer is properly cleaned and processed using sophisticated technology. Our Sea Salt is accessible in different specifications. It is used free from any contamination and used in various industrial applications. We have carved a niche amongst the most dominant names in this domain, engaged in offering Raw Salt. A food-grade, pulverized, white crystalline sea salt harvested from the Pacific Ocean. It is recommended for use in products requiring extremely fine sizing for blending. It is also ideal for use in dry soup, cereal, flour and spice mixes, as well as for topping snack foods. Contains Tricalcium Phosphate (TCP) to improve caking resistance. Our presented Sea Salt is broadly used in the market. This product is highly used by customers for its rich taste, purity and longer service life. Our product is grown by experienced cultivators. All our product products are available in different packing option at low rate. Sea salt is made in salt farm by natural way of sun drying. our strict commitment to quality ensures that our customers will receive only the cleanest, most natural products possible. We invite you to compare our quality and discover the difference our dedication to superior products makes. we make superior salts. 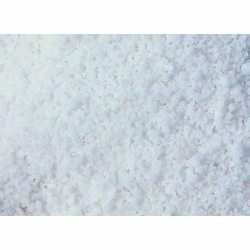 we supply sea salt as per the need of the buyer with minimum cost at the same time at its best quality. Sea Salt is manufactured from evoparation process of sea water. It is in raw form and in unrefined state. it is used in Dyes, Edible and cosmetic industry. Sea salt is obtained by the evaporation of seawater, is used in cooking and cosmetics. It is historically called bay salt or solar salt. Generally more expensive than table salt, it is commonly used in gourmet cooking and specialty potato chips. Dead sea salt referes to salt extracted or taken from the dead sea. Natural sea salt is also called solar salt and dead sea salt.